Late on a cold night, Peter warmed himself by a fire burning in the courtyard of the High Priest’s house. Jesus had been arrested; Peter had followed at a distance. It did not take long before he was recognized. When questioned, he emphatically denied knowing Jesus. After three such instances, Peter ran away fearing for his safety. Just then, the rooster crowed and Peter realized he had denied his Lord. Today, Christians are often recognized and pointed out. In many places throughout the world, disciples of Christ are put on trial, questioned, and compelled to deny their Lord. Yet, we know beyond any doubt that Jesus truly is Lord of all. 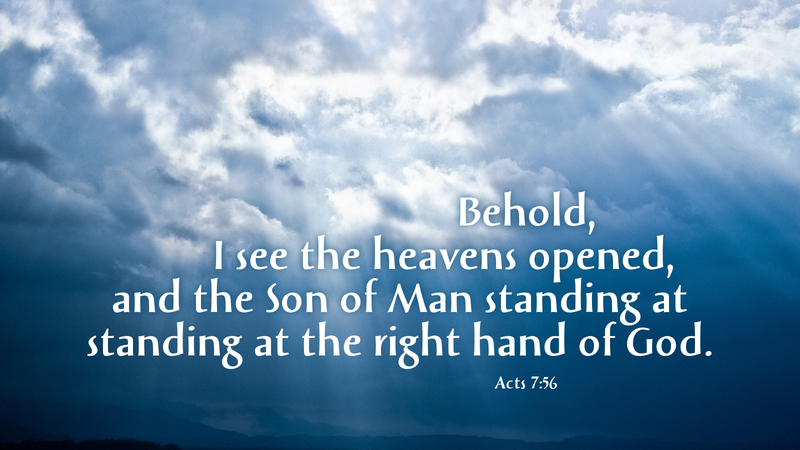 In the facing of trials, the reading from Acts provides us an example of faith. Stephen was filled with the power of the Holy Spirit. Facing false charges of blasphemy, he stood firm, giving witness to the power and glory of the Son of God. It is unlikely that you will ever have to face the challenge of Stephen, but filled with the Holy Spirit, you will not have to fear for your safety as Peter did. God will give you the words to say and the courage to say them (Luke 12:11-12; 21:14-15). Prayer: Lord Jesus Christ, grant me courage to always proclaim your power and glory. Amen.